OpenSCAD - Re: Please help me with this part modification! Re: Please help me with this part modification! > Subject: Please help me with this part modification! > it; i.e. 5, 10, 20, 60 mL. > My simple solution to do this is the modification I've shown in the picture. > before. Can someone help me out wit this problem? I presume the syringe is strapped down somehow? In traditional syringe pumps they are but in this design we may not need to. 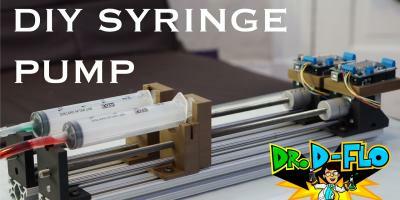 syringe. Any cross-section cut higher than the diameter becomes a "gripper"
added later as a parameter sum of an arbitrary distance of percentage. the chord of the second circle being the diameter of the first circle. I'd likely use to pursue this as an OpenSCAD project. simply sqrt(r_1*r_1 - r_0*r_0) since there's a right triangle. parts need to accommodate that as well. maintained, and the information from the OP doesn't give that indication.